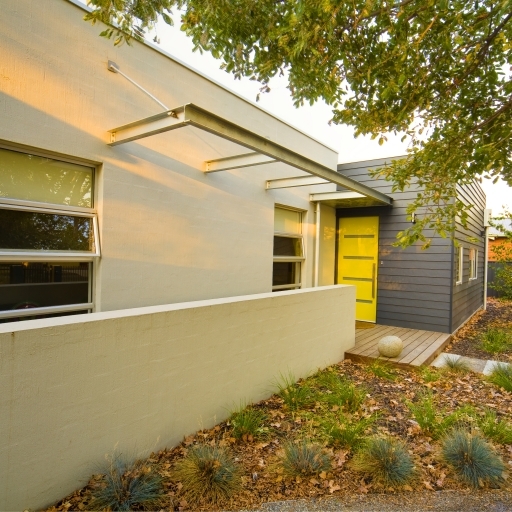 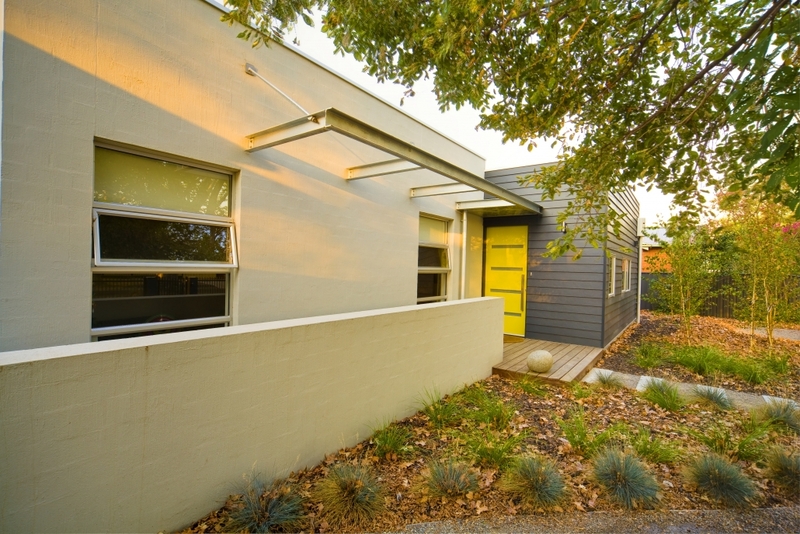 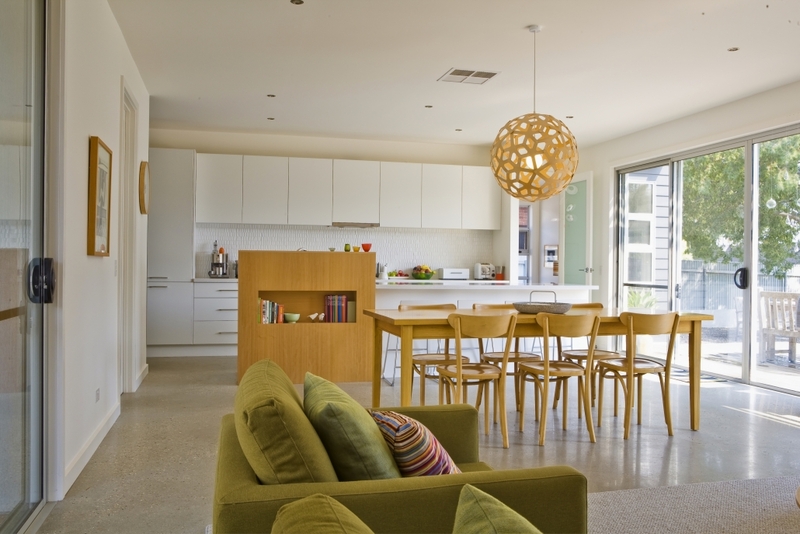 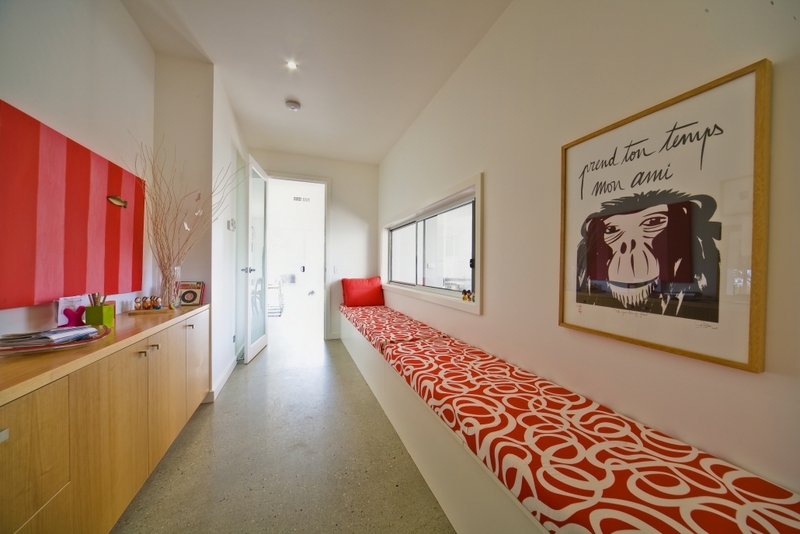 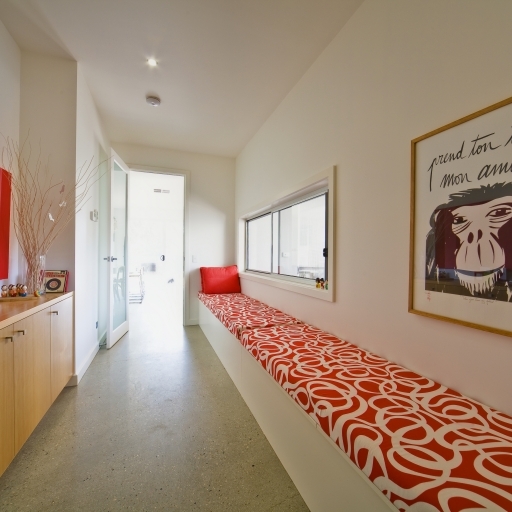 The owners of this contemporary home were keen to maximise space and energy efficiency. 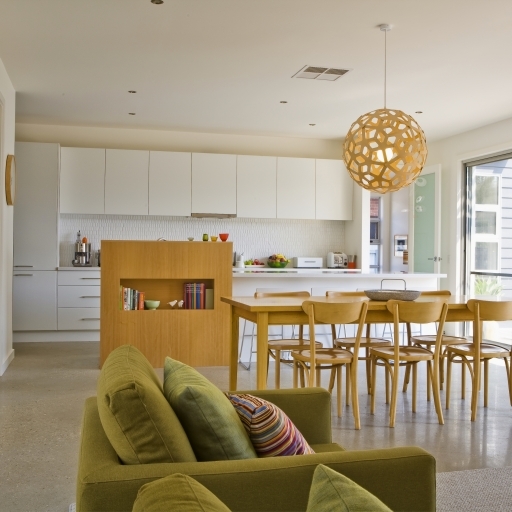 A hydronic heating system pumps hot water through polished concrete floors. 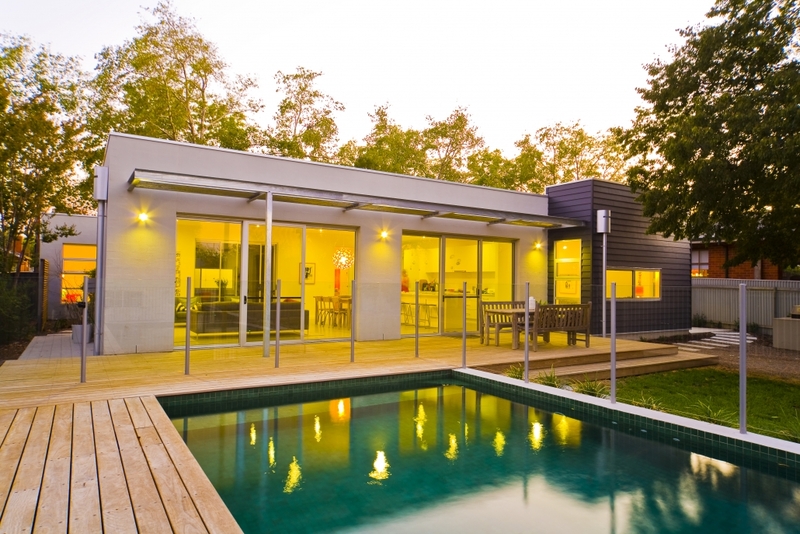 This solar-heated system, with a natural gas booster, reduces winter power bills. 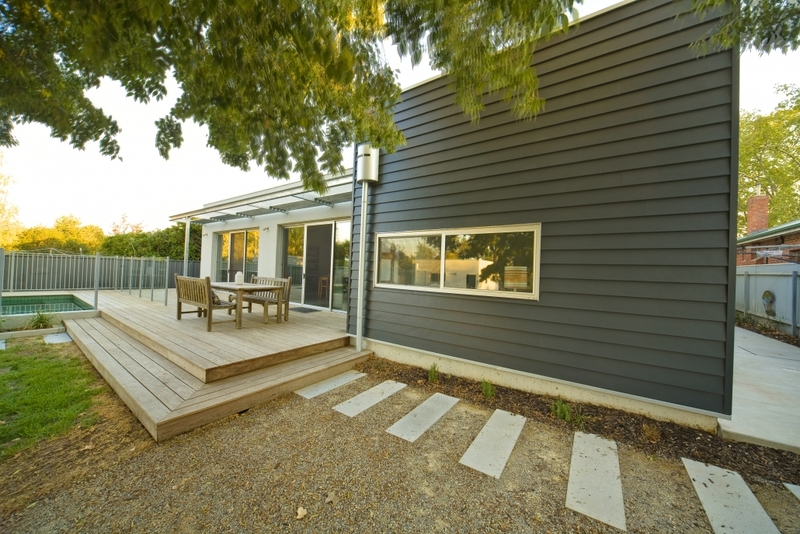 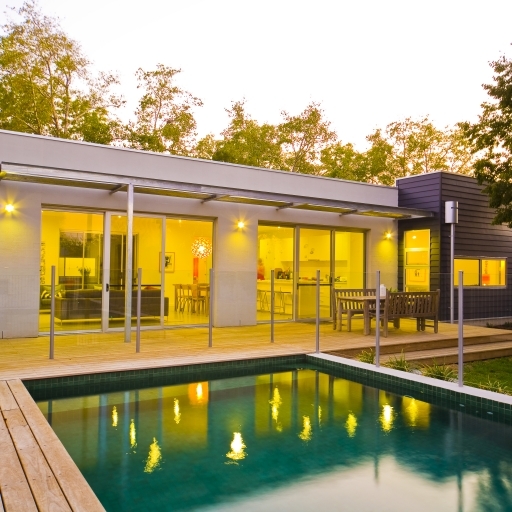 Northerly glazing, grey water recycling and environmentally sound Murobond paint also reduce the home’s carbon footprint. 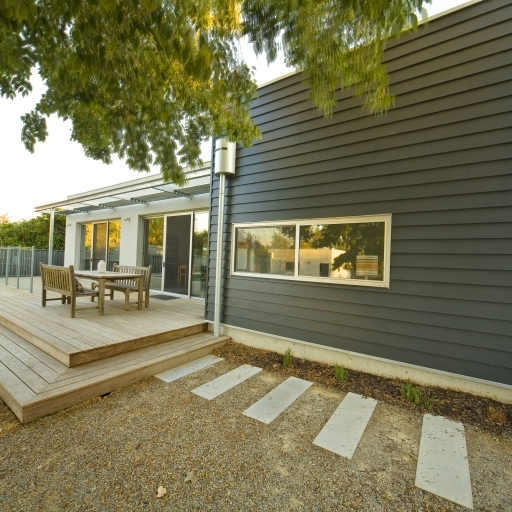 The home’s central courtyard provides a cool living area in summer, as well as a pleasant outlook from the master bedroom.